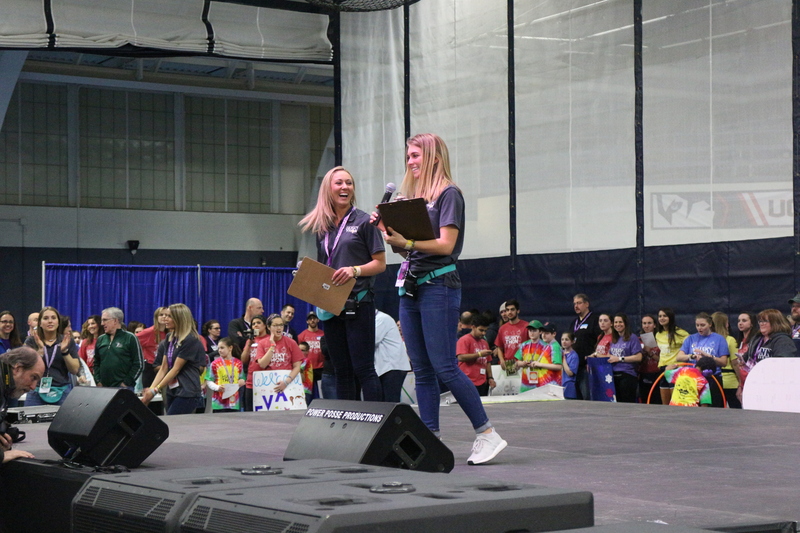 With close to 3,000 participants that made up over 100 teams, according to the vice president of communications for the 2018 management team, UConn junior accounting major Caroline Weed, this year’s total beat the $836,174.52 raised last year for Connecticut Children’s Medical Center. The center is a non-profit, nationally-recognized children’s hospital in Hartford, Connecticut that is one of 170 that make up Children’s Miracle Network Hospitals. The medical center in Hartford, Connecticut is also the primary hospital for UConn’s School of Medicine. The hospitals care for families with children who suffer from different maladies such as cancer, genetic diseases or traumatic injuries. Alongside a table full of HuskyTHON merchandise for those interested sits a jar for donations. “And as we stand here tonight, there are 118 families who cannot attend HuskyTHON, because they are at Connecticut Children’s Medical Center right now. These families include 47 babies in the neonatal intensive care units, 15 patients in the pediatric intensive care unit and 56 patients on the in-patient floors. 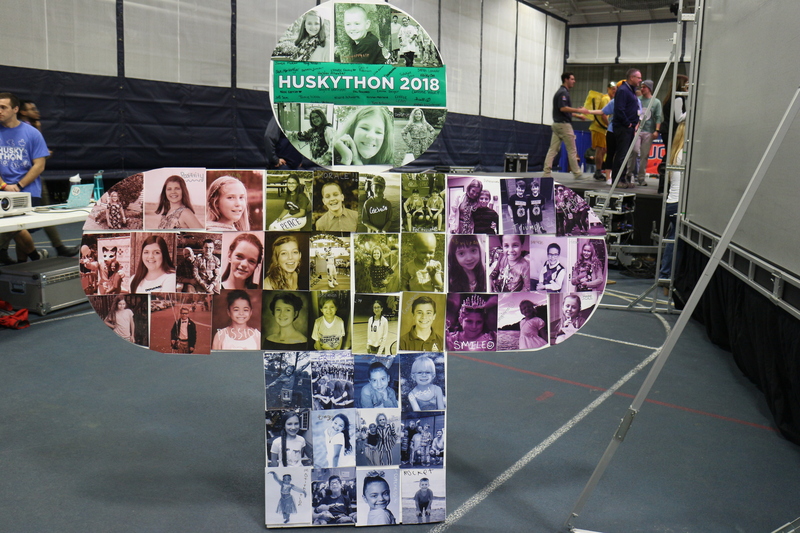 Tonight, we dance for them,” said the co-executive directors of HuskyTHON 2018, Eliza Kanner and Samantha Gay. According to Gay, it’s these children that make the whole effort worthwhile. “The kids say that HuskyTHON is better than Christmas and better than their birthdays, and that makes everything worth it,” Gay said. Eliza Kanner (Left) and Samantha Gay (Right) are the co-executive directors of the HuskyTHON Management Team 2018. 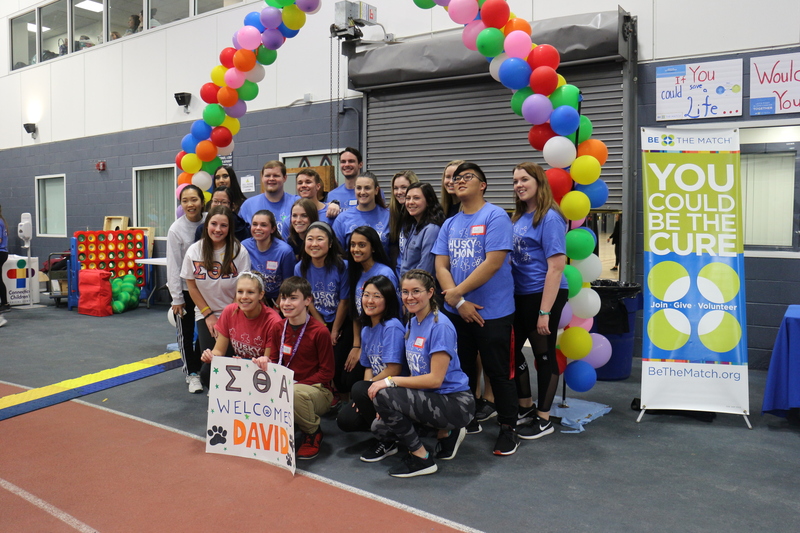 48 families associated with the Connecticut Children’s Medical Center attended the event, each hosted by a HuskyTHON team. According to Weed, the million dollar milestone was possible to all those who donated, no matter the amount. “We really couldn’t have done it without every single person that contributed. This includes people who raised two dollars up to people who raised 10 thousand dollars. Each and every dollar amount was in that total and every one of our donors and participants are equally as important to us,” Weed said. So as to not break the promise of 18 hours spent dancing and/or standing, participants would take the knee when listening to miracle stories or other important announcements. Along with the well-known dance marathon, HuskyTHON undergraduate student leaders work all year long to raise funds and awareness for Connecticut Children’s Medical Center. 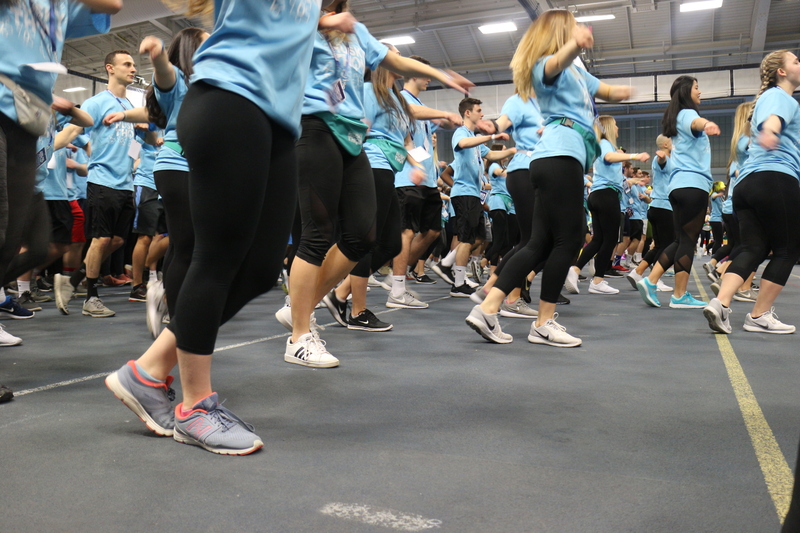 HuskyTHON raised the funds through other events outside of the dance marathon, such as a Day of Strength where a goal of over $100 thousand is set to be achieved in one day and a ZumbaTHON. 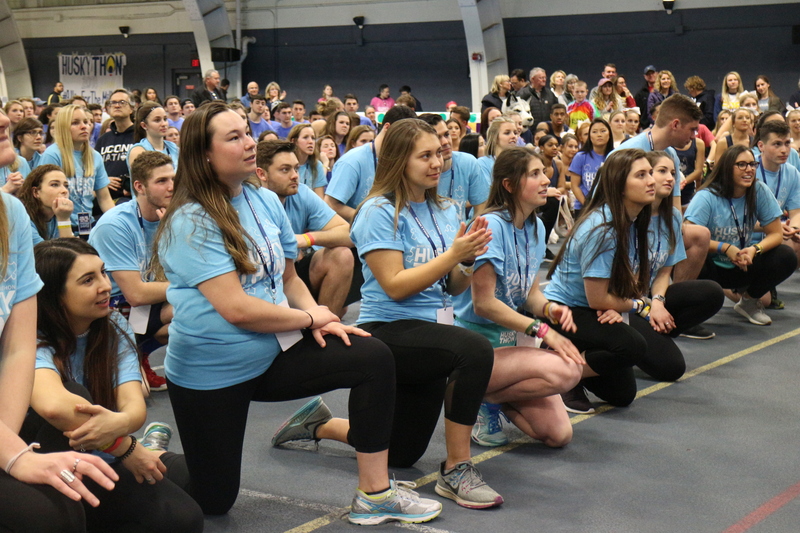 During the dance marathon, both team and individual fundraisers are recognized for their efforts. The top 10 individual fundraisers raised over $50,000 in total with the top individual fundraiser as Kevin Fitzpatrick. Participants danced to the Morale Dance music which was a mix of timeless songs and recent hits that lasted over 10 minutes. The event kicked off with the first of 19 morale dances, a choreographed dance performed at the start of each hour to boost the energy of the crowd. The crowd also took a knee throughout the event to listen to the stories of the children associated with the medical center, also known as Miracle Stories. It’s these stories that made Gay fall in love with the event. “I first started HuskyTHON when I was a freshman. I came in as a regular old dancer. I had no idea what to expect, didn’t eat before I even came. Ever since then, I’ve loved it, every second of it…To me, it was the first moment that I heard a miracle story in the field house…Those are the stories that touch our dancers hearts and those are the stories that keep us dancing all night long.” Gay said. Emma smiles on stage to a cheering crowd. 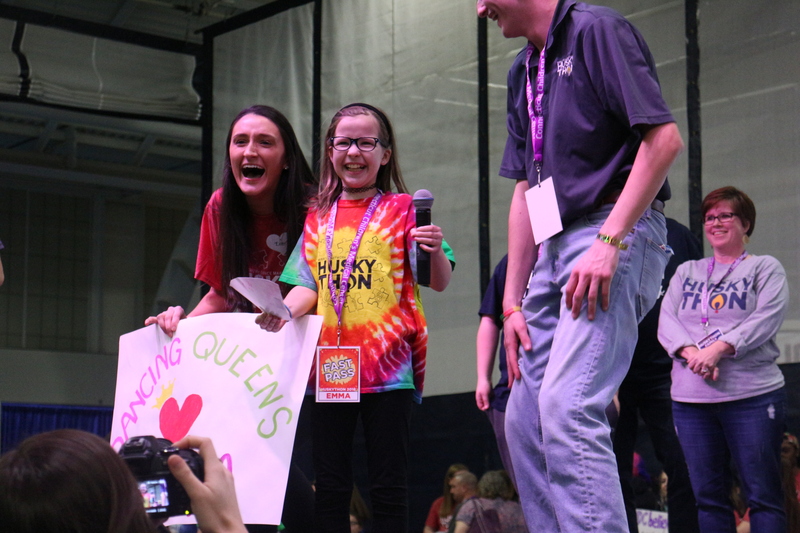 She is the miracle child of the HuskyTHON team, the Dancing Queens. @champagnepapi is Drake’s official Instagram account. Weed said HuskyTHON garnered attention on social media when they heard from rapper and singer/songwriter Drake. “All the tags just got [Drake’s] attention, and he followed us on our instagram… We were really happy that he recognized that kind of gave us a little bit of a platform. Our following base went up after that, so that was great,” Weed said. This is not the only time HuskyTHON caught the eye of a celebrity. In 2016, singer/songwriter Taylor Swift donated close to $2,000 to a HuskyTHON participant and UConn student. 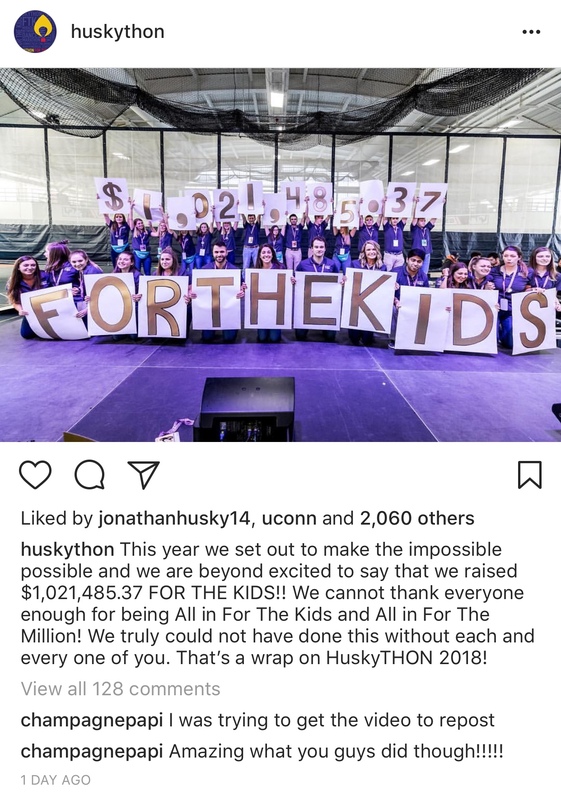 The majority of HuskyTHON participants come from fraternities and sororities, and according to Joel Thomas, the President of The Interfraternity Council (IFC), a governing body that oversees all social fraternities at UConn, the million dollars raised was a very significant total for these communities. “We’ve been trying to redefine what it means to be in a fraternity at UConn and seeing that number really symbolized a redefinition in the way we’ve been involved at UConn and a tangible, positive impact we’ve been able to have. I realize that that number is not just a reflection of a contribution of fraternities and sororities but also a contribution of a larger student body at UConn, but just being able to look and realize that we had a role to play, that was a sense of elation that we had and I think that was shared across the board,” Thomas said. The IFC encourages all the fraternities and sororities at UConn to participate in HuskyTHON. Thomas danced at HuskyTHON as a member of Pi Kappa Phi this year which is his second year in a row participating. Thomas said the 18-hour marathon is easier to handle when remembering the cause. “It definitely gets easier when you are able to see the impact of your work. Going in sophomore year, it was more of a thing I just wanted to do and check off the box; but, being able to work with our miracle child for a second round, having him come and talk to us about what this meant to him… it really instilled in us, not just myself but I’m sure in other members of IFC and our respective fraternities, it’s definitely instilled in us a greater desire to come back and to give back and help out with the fundraising and in any way that we really can,” Thomas said. The co-ed, pre-health fraternity Sigma Theta Alpha poses with their miracle child, David. UConn President Susan Herbst praised those who were a part of the historic moment for HuskyTHON in an email sent Monday morning. By the end of the event, as the invited families cut off the hospital bracelets given to each participant, the teary-eyed co-executive directors reiterated the reasons why they were all there. “We strive to give kids the freedom to just be kids and celebrate their lives. On days like today, we are able to catch a glimpse of what that day looks like. A day where children aren’t labelled as sick but rather are celebrated as rock-stars, a day where we laugh, cry, dance and sing. What you did today, this weekend and all year long is what brings hope for a better future for all of the kids in this room and all of the kids at Connecticut Children’s Medical Center,” she said. All the visiting children from the Connecticut Children’s Medical Center placed their photo onto the center’s logo on stage when introduced to the dancers.